Detroit's blues-rock analog kid Jack White releases the messiest, weirdest, most ambitious album of his career with Boarding House Reach. Jack White, the mad scientist control freak of rock and roll (a somewhat undisputed title since the death of Prince) is back, and his first true solo album since 2014's Lazaretto is a weird, haphazard, disorganized, hot mess of an album. Contrary to what conventional wisdom may tell you, this is a good thing. 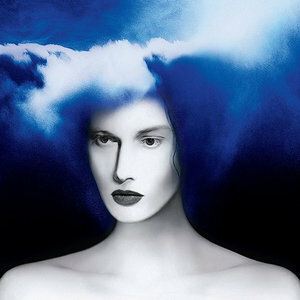 Boarding House Reach has been getting a lot of attention over the past few weeks, as White has been teasing fans with a few random tracks and reviewers alternately praising the album's uniqueness and slamming its somewhat roughshod profile. Make no mistake: this is an album unlike anything in White's discography, and that goes for his solo work as well as his stints in the White Stripes, Raconteurs and Dead Weather. For one thing, the focus is primarily on grooves. As a result, songwriting tends to take a backseat. Many of the songs arose from endless jam sessions, and that's apparent. Stuffed to the gills with a bevy of skilled musicians (whose combined resumes include everyone from Beyonce to David Byrne to Depeche Mode to Kanye West), Boarding House Reach is almost an anti-White Stripes record in terms of the sheer number of participants involved, and the assembled crew is adept at keeping things raw and open-ended. There are no easy answers or traditional frameworks within the album's 44-minute runtime. Occasionally a traditional song structure will creep in: album opener "Connected by Love", framed by a wobbly synthesizer, is a soulful R&B throwback with a tasty Hammond organ solo and gospel-tinged backing vocals. "What's Done Is Done" is a soothing country ballad well within White's wheelhouse. White Stripes fans are even thrown a bone with "Over and Over and Over", a pummeling, Zeppelin-esque gut punch that White wrote a dozen years ago and eventually abandoned (even after attempting to use it as a Jay-Z collaboration). The song employs Herculean guitar riffs, a quasi-operatic chorus and typical hyper-distorted soloing from White himself. If those three songs were part of some Jack White stopgap EP, the fans and the press wouldn't bat an eye. But Boarding House Reach is, among many things, a successful attempt by Jack White to step out of his comfort zone and erase musical boundaries. That results in plenty of oddball (yet welcome) moments. "Ice Station Zebra" takes an energetic funk shuffle, heavy piano riffing, and Metallica-grade double kick drum fills and adds some surprisingly skillful Jack White rapping. On "Corporation", another song that depends more on groove and atmosphere than chord changes or fussy arrangements, an irrepressibly funky backbeat is underscored by Stevie Wonder-style clavinet and a simple repetitive chorus of "Who's with me?" The question seems odd until White begins testifying at the song's halfway mark: "I'm thinkin' about starting a corporation / Who's with me?" Later, he attempts to clarify: "I'm gonna buy up all the empty lots and make one giant farm," leading us to believe this is either an anti-consumerist rant or a handbook on starting a cult. The schizophrenic blues-funk of "Respect Commander" is a close cousin of "Corporation", opening with a twitchy garage rock jam and eventually shifting gears jarringly into a simmering guitar showcase that owes more to Jimi Hendrix and Jeff Beck than White's indie blues frenemies the Black Keys. For a self-confessed Luddite like White who shuns technology and embraces all things analog, he relents a bit on Boarding House Reach, not just because of his admitted Pro Tools tweaking (a practice he'd previously dismissed as "cheating"), but also with the presence of plenty of anachronistic synthesizers. On "Hypermisophoniac", jazzy piano runs are intertwined with a futuristic synth squall that runs through the song like a robot's pulse. "Get In the Mind Shaft" has a distinct science fiction vibe, aided by retro synthesizers and vocoders, resulting in something like a rock opera excerpt conceived by P-Funk and Daft Punk. There are times when the weirdness can test even the most patient of listeners, particularly on the smattering of shorter, interlude-style tracks. "Abulia and Akrasia" is a spoken-word, spaghetti western-style track performed by Australian blues musician C. W. Stoneking, sounding like Tom Waits crashing the set of Deadwood. "Everything You've Ever Learned" comes off as HAL 9000 channeling Tyler Durden. "The one who is prepared is never surprised," White shouts over an insistent, conga-fueled vamp. "Do you want to question everything?" He continues. "Then think of a good question!" It's a strange, postmodern sermon/tone poem that manages to wear out its welcome at just over two minutes. But the misfires are few and far between. Boarding House Reach may be a hard pill to swallow, but it's rarely boring and without a doubt the most far-reaching, experimental collection of songs in White's ample discography. Bluesy bursts of lead guitar live comfortably next to modern keyboard swells, and country-tinged acoustic guitars share space with synthetic drum loops. "My shoulders hold the weight of the world," White sings on "Over and Over and Over". Given the sheer ambition and execution of these 13 tracks, he's up to the task.